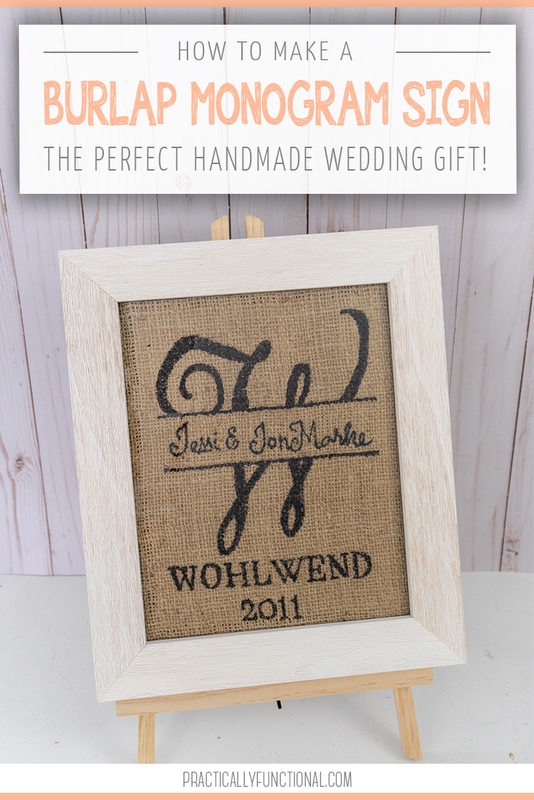 Looking for an easy wedding gift idea? 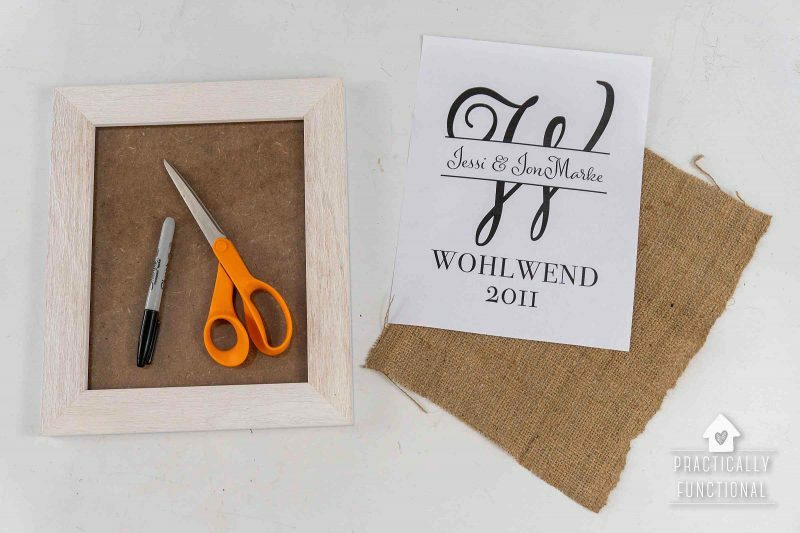 This DIY burlap monogram sign makes a beautiful custom gift plus it is super easy to make! 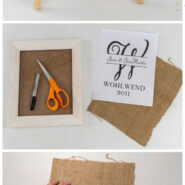 Looking for a cute DIY wedding gift? 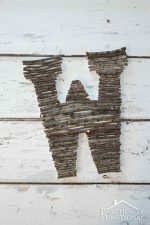 This simple DIY burlap monogram sign is so easy to make, and it’s such a fun piece of art for newlyweds to hang in their home! 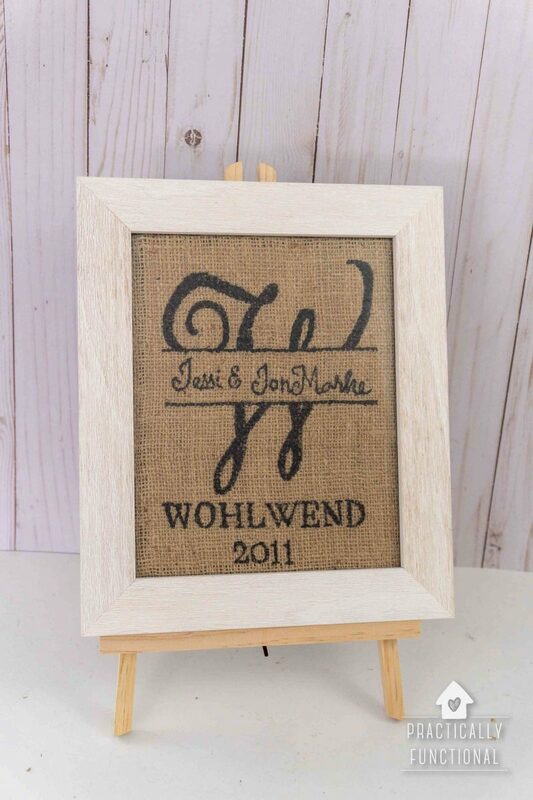 And don’t worry if your handwriting isn’t great; the secret to this burlap sign is that you trace the monogram onto the burlap…no artistic skills necessary! 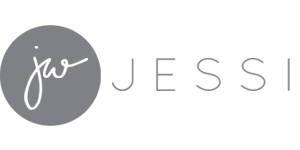 The first thing you need to do is design your monogram. 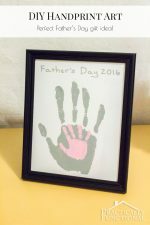 You can use Photoshop or Word to design your own, or if you like the version I used in this project, you can grab the basic Word document template I used at the bottom of this post. 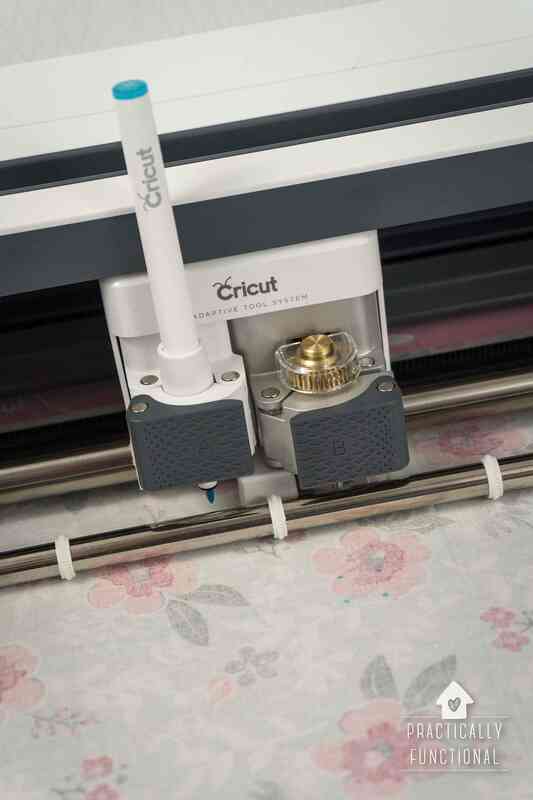 Print out your monogram on a plain piece of paper. 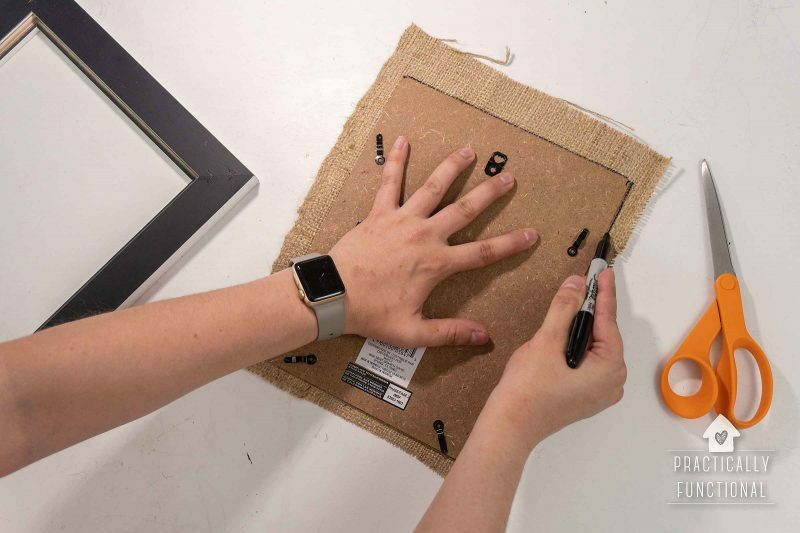 Make sure your piece of burlap is about an inch bigger than will fit in your picture frame; we will cut it down to the exact size later, but for now it’s nice to have it a little extra big so you don’t need to worry about getting your tracing perfectly centered. 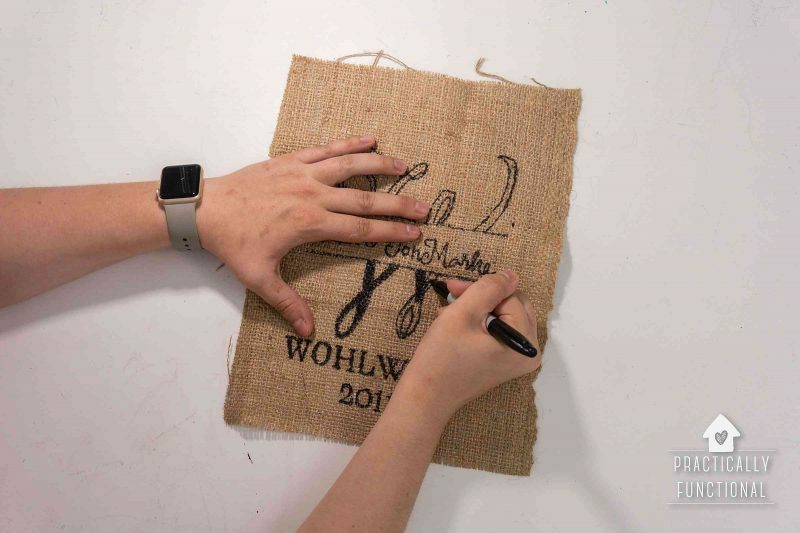 Place your printed monogram underneath your piece of burlap and start tracing with a black permanent marker. 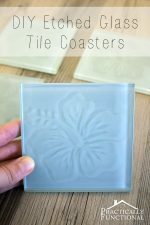 You can tape the printed design down onto the table to keep it from sliding around. After you have the outlines of all your text traced, go back and fill in the middle of the text to make it solid black. I used a regular black Sharpie for this project, but if you want to see more fine detail in your monogram you can use a fine point Sharpie. 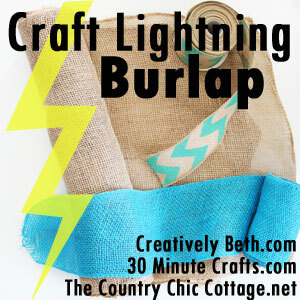 Just remember that burlap has a very loose weave, so you won’t be able to get too detailed; the details will get lost in the open spaces of the fabric itself. 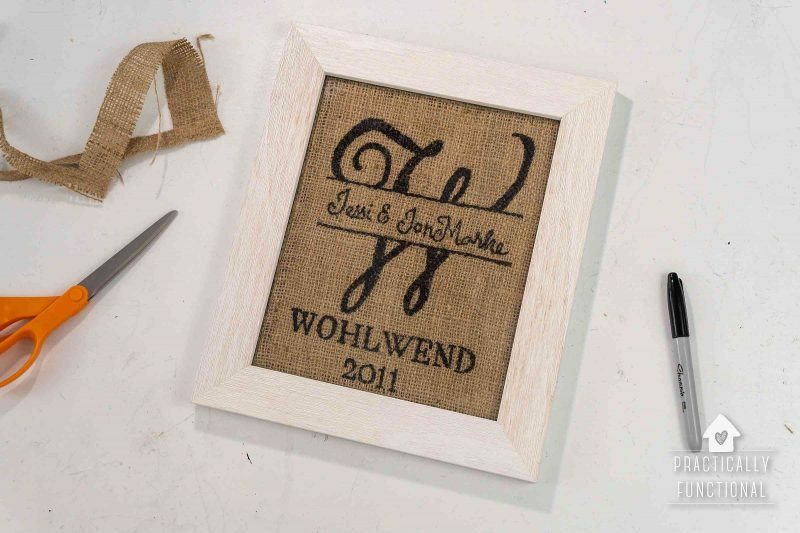 Once your design is fully traced onto your burlap fabric, take the back of the picture frame and place it over your design, centering your design on the frame backer. 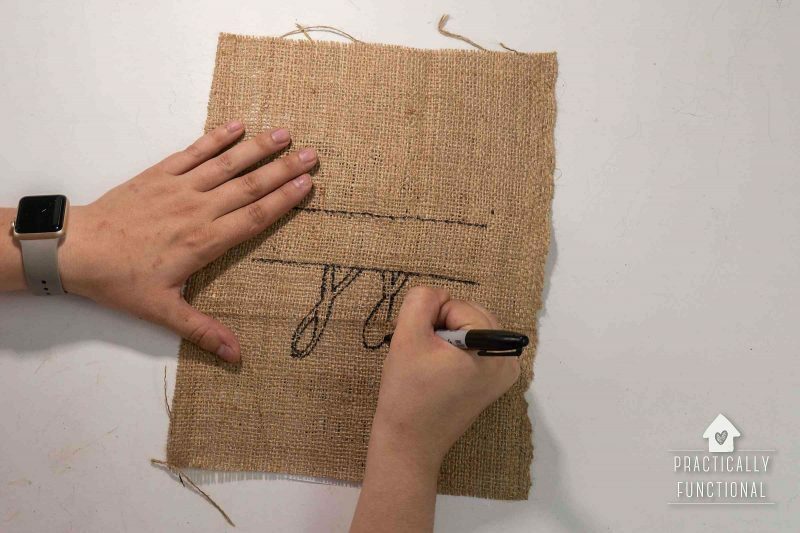 Then trace the outside of the frame backer and cut the burlap down to the exact size it needs to be to fit inside your frame. 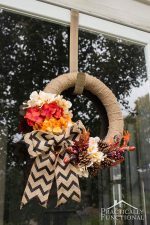 If you want a bit of color to show through your burlap, you can put a piece of colored paper in the frame, behind the burlap. I like the “natural” color of the particle board backer showing through, so I just left it as is. Close up the back of the picture frame, and you’re done! 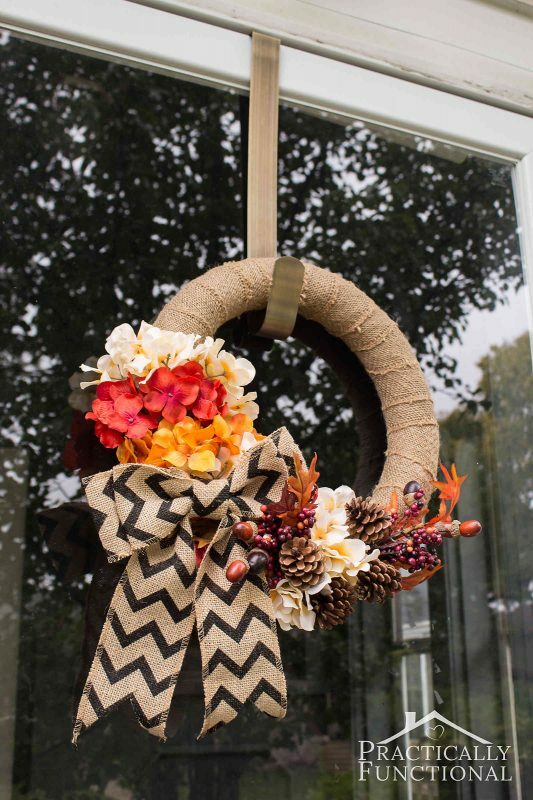 If you love crafting with burlap, check out this simple burlap wreath I made last fall! Download your free monogram Word doc template! 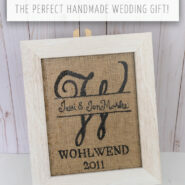 The fonts I used for this monogram are listed below. You need to have these fonts installed on your computer before you open the template, or it won’t show up correctly. Feel free to modify the template with your own names and letters, or even change the font and sizing as needed for your specific monogram! Some of the fonts I used are part of my Adobe TypeKit subscription, so they aren’t free. But you can use this template with any font you want! 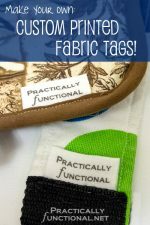 Make Your Own Custom Printed Fabric Tags! The fact that you use a Sharpie makes me so happy! Thanks for joining!